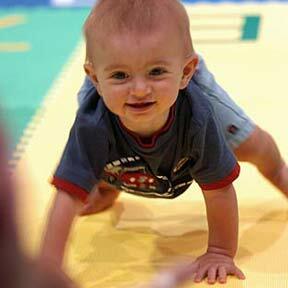 1-year-old Landin Langridge was up on all fours going to his mom, Bridget, during the "Baby Crawling Contest" at the 8th Annual New Baby Expo 2005 at Blaisdell Exhibition Hall. Landin finished second in his heat. »Why let just anybody coach students?